With all of the moving parts in your data collection processes, a lot can go wrong with your mobile app and web analytics. There is a significant amount of know-how required to make sure that those strings of code your team worked so hard to implement actually spit out accurate and actionable data. Not something to roll your eyes at. These tips will help you prove the integrity of your data, which not only contributes to a solid ROI, but also gives your numbers credibility within the organization. The following five tips are geared toward helping you get the most out of your mobile app and web analytics implementations by making it easier to collect accurate data and analyze it in a meaningful way. Analyzing data is complex. So are the tools to help you manage your analytics. These tools are there to help, but sadly many people only learn a few basics and never dig any deeper. There is so much functionality at your fingertips, but it requires you to really dive in. Some of these options may need to be added to the budget and might take additional time, but exceptional analysts are always improving and planning for the future. An analytics implementation can be a maze. You have thousands of pages, most likely on multiple digital properties, and each of them is tagged just a little bit differently. To navigate the analytics labyrinth, you need to have a map—a variable map, also called a tagging plan or solution design reference (SDR) or document. Every organization needs to document their tagging plan, specifying when and how each tag should be configured on a website. Without this guide, variables may be configured to fire incorrectly and data quality can be distorted. The variable map should also be updated frequently to ensure it accurately reflects your digital implementations so that any developer can clearly understand how to implement your site and any analyst can tell what the data is supposed to look like. Even the best developers cannot expect implementations to remain flawless after that first deployment. It is essential that you test your implementations, and test them again. And again. This process validates that everything you’ve worked hard to set up correctly stays that way and that your collected data is complete and clean. There are several debugging tools, like ObservePoint’s TagDebugger™, to help you perform QA on all the tags in your mobile app or web analytics implementation. To understand and troubleshoot analytics, you have to know the technology you’re working with and the language it speaks. If you can do a little troubleshooting yourself, you’re going to save a lot of time and effort because you’re giving the developer a little bit of a head start, and that bit of extra effort might make them more likely to help you out sooner rather than later. I recently published a three-part blog series about this common pitfall. How can you know which tool’s data is correct? If you have implemented two sets of web analytics on your site, I strongly recommend that you pick one and stick with it. However, because you need validation, it’s important to use an auditing tool that was meant for the job. Take a test drive with ObservePoint’s auditing tool to see what validation can do for your site. In order to maintain a competitive edge in today’s industries where data drives decision-making, your mobile app and web analytics need to be on point. In order to anticipate your customers’ needs and provide an exceptional experience, your data about them must be accurate. When it comes down to it, you can’t afford to not have bulletproof analytics. 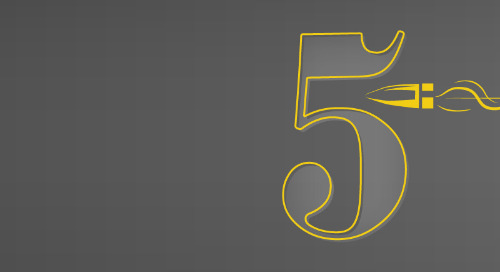 Learn more about these five tips from our eBook: 5 Tips to Bulletproof Your Analytics.